While you can still use JPG and PNG images, those formats are STRONGLY discouraged. Instead, you should use the .dds format with either DXT1 or DXT5 compression. So why this new format? 3. Flip the image vertically on CPU (using another 32MB of RAM). Isn't this a DirectX feature? Steps 3 and 5 from above aren't necessary in Vuo. Still, there's room for improvement. Currently, the images are decompressed into CPU RAM, which means you don't get the GPU RAM storage reduction benefit. So this feature request would be to implement a fast path for DDS texture loading, one that stores them compressed in GPU RAM. This would make it possible to load more/larger textures than before. 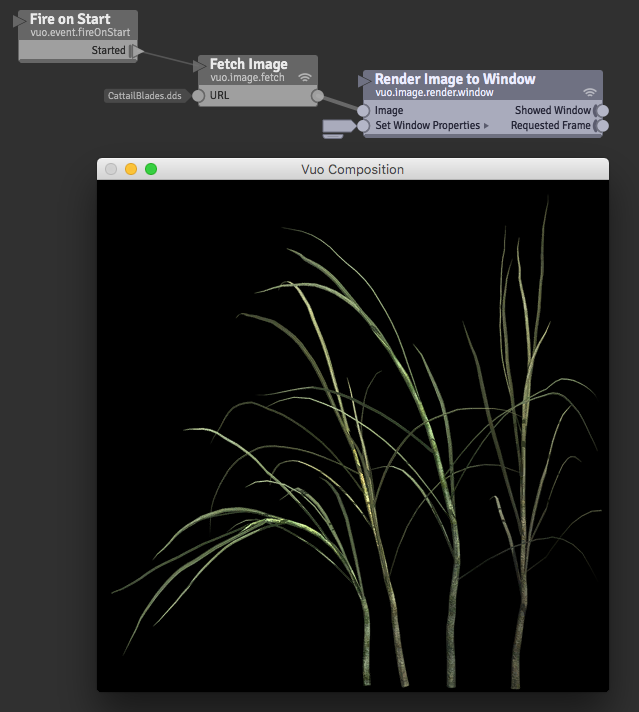 Also this FR would allow dragging a DDS file onto the canvas to create a Fetch Image node.